The 11th season of Indian Premier League (IPL 2018) will see a mega auction before it. 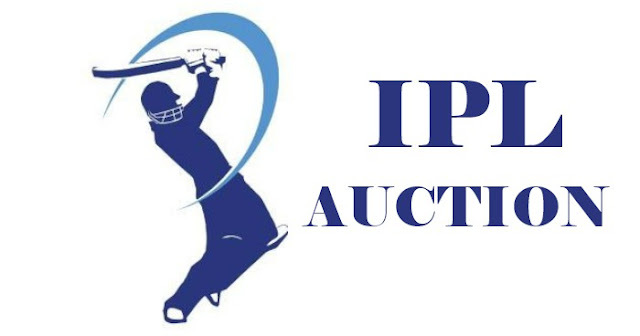 The IPL 2018 Auction is to be held in the last week of January in India as decided in the meeting held between IPL Governing Council and the IPL Team Owners. With less than two months left for the auction, the discussion on the retention policy still didn’t reach any conclusion. The meeting was well attended by Shah Rukh Khan and Jay Mehta as Kolkata Knight Riders owner, Delhi Daredevils owner GM Rao, Mumbai Indians' Akash Ambani, Kings XI Punjab's Mohit Burman and Ness Wadia, Rajasthan Royals were represented by Manoj Badale and CSK's representative John George. There was also the discussion to move the IPL Auction to England which was supported by only two teams and others were in favor of auction to be held in India. Yes, there were discussions whether we could shift this year's auction abroad. A couple of franchise owners suggested England as this will be a big auction with most players back in the pool. However, the majority of the members want it to be held in India. a senior BCCI official told PTI. There was also no conclusion made on the Retention Policy. Royals (Rajasthan Royals) proposed to do away with both retention and Right To Match (RTM). While Kolkata Knight Riders suggest no retention policy but five Right To Match at the auction. Followed by this Kings XI Punjab supported Rajasthan Royals suggestion and wants to build the team from the scratch. Chennai Super Kings and Mumbai Indians are happy with retention and want to go with maximum retention; Chennai Super Kings will retain from its 2015 team. Three franchises are absolutely okay if there's no retention at all. Two franchises want four players retained. One franchise wants five players and two franchises want anywhere between five and seven players retained. according to a BCCI source. Kings XI Punjab has been allowed to play three of their home matches outside Chandigarh if the remaining four matches are played at Mohali. However, the decision on Royals home venue is still to be finalized. However final decisions on all the matters are likely to be taken at the next IPL Governing Council meeting, which will then have to be approved by the COA. "There was, to a large extent, a consensus between the franchises on many issues. All of them want the league to grow bigger. Soon, we will deliberate on the suggestions given today and take a final decision," the official said. The meeting went off well. The idea was to invite actual team owners and solicit their views now that 10 years have concluded. Lot of things like retention, salary cap, squad strength were discussed. Majority of the owners want player retention. I think we will be able to finalize the details in a fortnight. There were a number of issues including the number of players, salary cap of the players, the playing squad [numbers], and the total number of the teams. All these issues were discussed, other than the venue and dates for the auction and the inaugural ceremony. I think in a fortnight the Governing Council will finalize the details. Whether the IPL should have eight or ten teams was also discussed. A majority of the franchises’ view was we should stick to eight teams. Right now, I can't say anything until we take the decision about retention and Right To Match. A majority of the franchises were of the view that retention or right to match should be given, so we will keep that aspect in mind. On retention of players, Rajeev Shukla said. We have taken their opinion. Somebody said three players, somebody said five players, somebody said more than five players, somebody said, one player. So, the majority we will take into account.